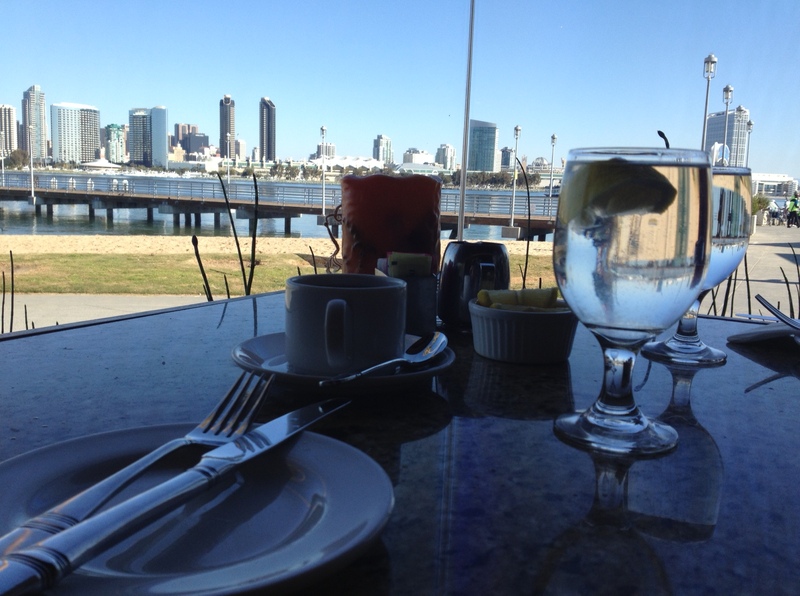 Candelas on the Bay | how 'bout some cake? 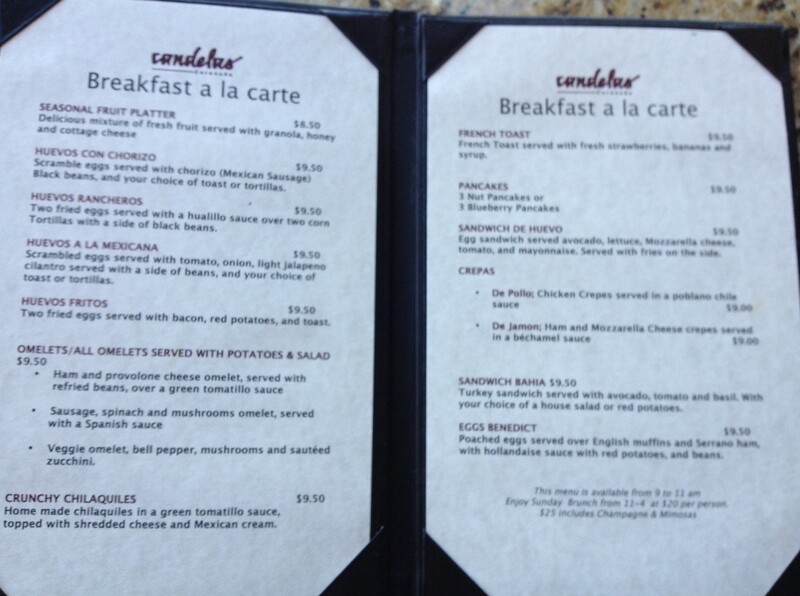 From now on, whenever someone comes to San Diego to visit me, I’m taking them to Candela’s. 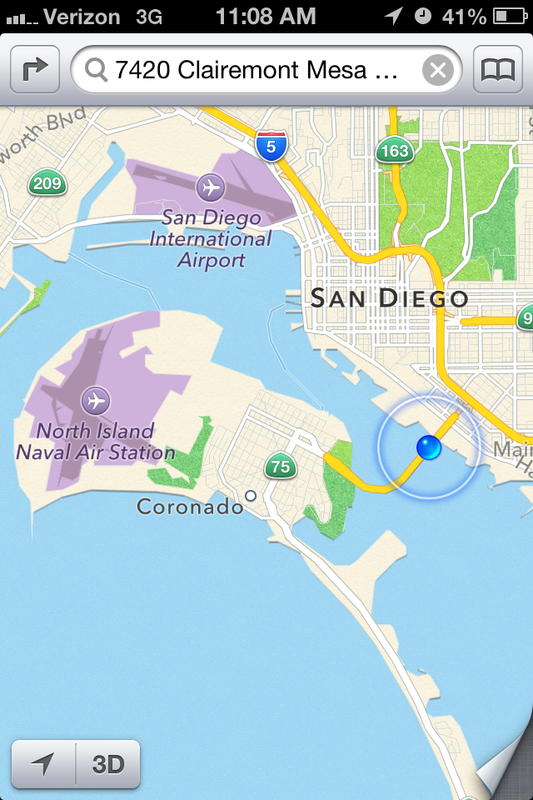 Candela’s is on Coronado, which is a beautiful little island (peninsula, whatever) just off the San Diego coast. See? Half of it is military, and the other half is the quaintest place you’ll ever see. It’s home to a fabulous old hotel (The Hotel del Coronado), a precious little downtown area, and shoe box-sized homes that cost a fortune. I love it there. Our friends had been raving about a breakfast restaurant over there, so we finally decided to check it out. I’m so glad we did! 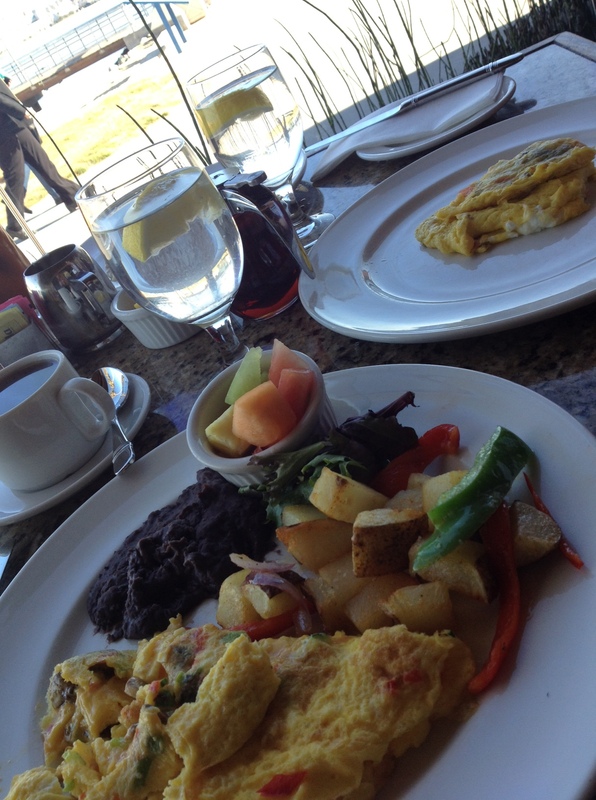 Candela’s is the whole package: great location, good food, good service, and affordable prices. There’s a trend with restaurants on the water to serve mediocre food at inordinate prices, but Candela’s marches to the beat of its own drum. As you can see in the picture above, it sits right on the water. A whole wall is glass, providing lots of light and a beautiful view of downtown. On Sundays (they’re not open for breakfast on Saturdays), there are 3 options: order from the menu, pig out at the buffet ($20) or eat and drink mimosas to your heart’s content ($25). Right- $5 for all you can drink mimosas. Sold yet? I curbed my gluttony by ordering from the menu. Jason did not follow suit. My veggie omelet was delicious, and I liked that it came with some fruit. Jason also enjoyed his omelet. And his pancakes. That man can really eat. As we were finishing our meal, the server spotted some dolphins in the bay. 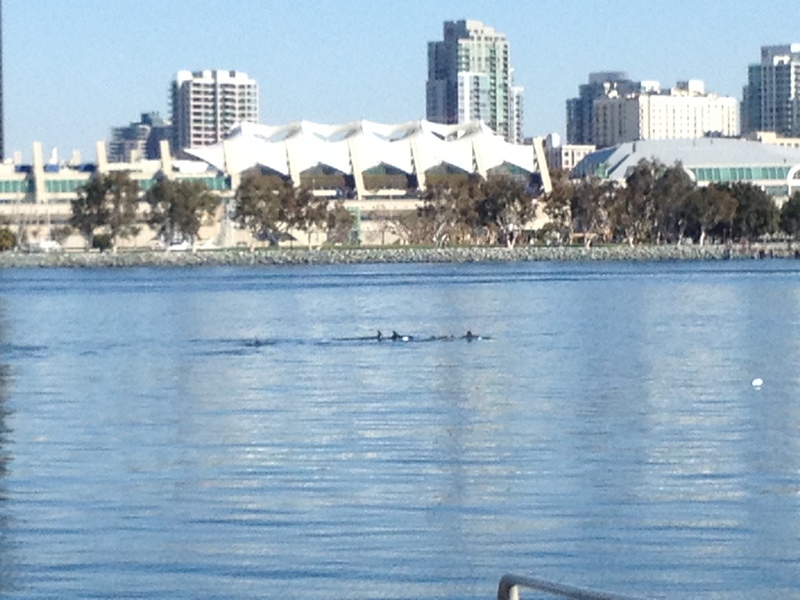 We quickly paid the bill and ran out front to watch them from a pier. There were dozens of fins bobbing gracefully in and out of the water. Jason and I stood watching them until they disappeared. It was such an incredible, unique experience for us. It’s mornings like this one that make living in San Diego so great. And now I want to share it with everybody I know. So come visit me, y’all! 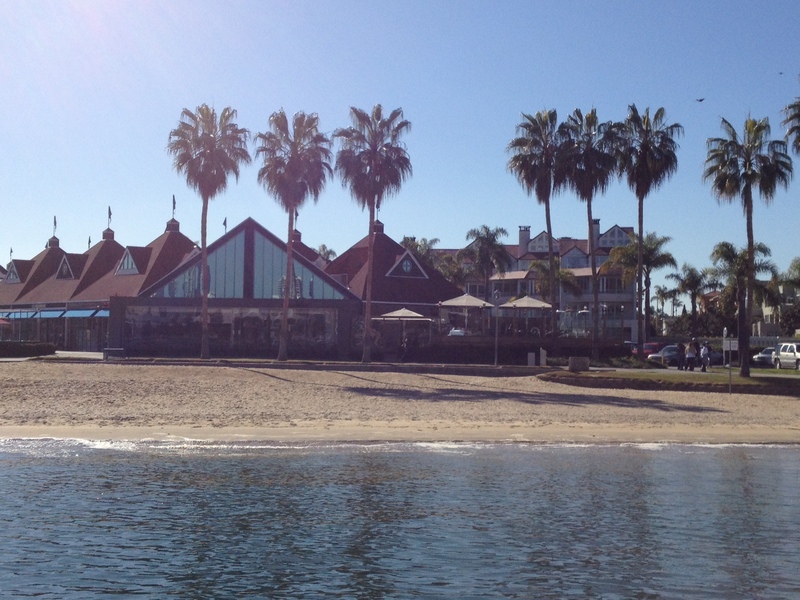 This entry was posted in Uncategorized and tagged hotel del coronado, restaurants, San diego. Bookmark the permalink. I was in love with this place the moment I saw the photo you posted on instagram! I will totally be remembering this for any future trips to southern california! The food sounds delicious and the view is to die for! Ps. Can you send some of the beautiful, warm weather my way?! It’s been in the 40s and 50s this past week! I wish I had warm weather for both of us… burr! This place looks perfect–I was totally wishing I could jet down after seeing your Instagram photo! I would do unspeakable things to live in a place like this, lucky lady! Looks beautiful and yummy!! Definitely need to put it on the list of places to check out!